The high-strength cider is being relaunched by its new owners with a rethought brand and positioning. 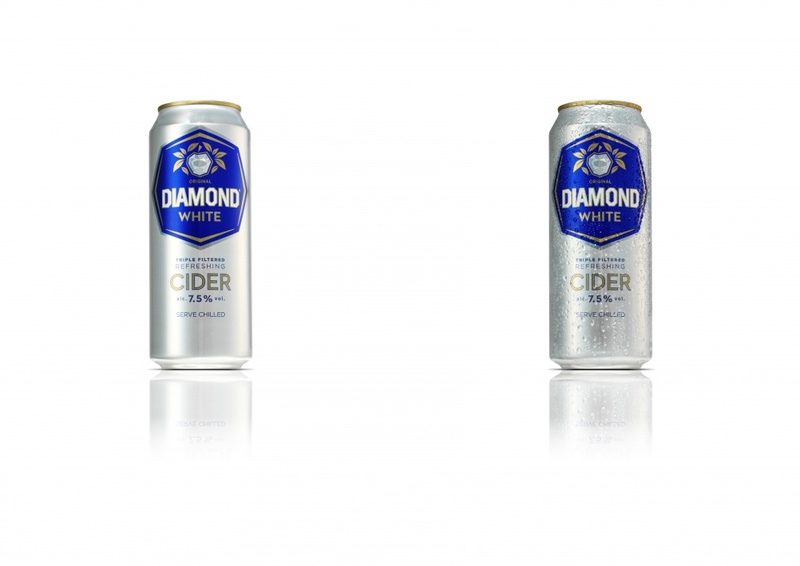 Diamond White Cider is relaunching, with its new brand owners positioning it as “a lower-alcohol alternative to wine”. The high-strength cider – which is 7.5% ABV – originally launched in the 1980s and in 2013 the brand was acquired by Brookfield Drinks. Brookfield says Diamond White is the sixth largest canned cider brand in the UK. Brookfield says it is relaunching Diamond White as “a credible lower-alcohol alternative to wine.” It says it plans to extend the product range for “different usage occasions”. Initially, Diamond White is relaunching in 500ml cans and 2l bottles. The packaging features a new “diamond apple” logo and blue and silver branding, which Brookfield says repositions it as “a premium triple filtered refreshing cider”. The new designs have been developed by Brookfield and its design partners Chris Lower and David Jenkins. Brookfield says the Diamond White relaunch will be supported by a new website and “significant” promotional and marketing investment. Brookfield previously relaunched Kestrel Lager – another brand that it says was popular in the 1980s and ‘90s, and which has been repositioned as a beer with Scottish brewing heritage. Fondly remembered yes.. but for the right reasons lol? Underage drinking and tramps swilling it back on park benches. An interesting brand shift on this, will be interesting to see how consumers buy into it as ultimately its a VERY strong cider and as I remember didn’t taste that great. Hey you there! Can you lend me £50 until next Tuesday? Unlikely to buy or drink this beverage, but a mini-size screw-top glass bottle would make it more sophisticated and appealing. Similarly, wine has always looked a little ‘cheap’ when packaged in cans & cartons.